On March 11, 2016, floodwaters from the Bogue Falaya River, 60 miles east of Baton Rouge, inundated Saint Joseph Abbey and Seminary College with nearly two feet of water, causing the college to suspend classes. 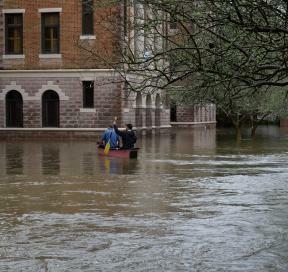 Although no one was hurt, many buildings were damaged, and total losses exceeded $30 million. Before the administration could authorize reopening the college, more than 40 buildings needed to be assessed for mold and asbestos. Terracon was called in when the college’s consultant could not be responsive to the massive impact. The objective of the college administrators was to get the students and faculty back in their classes with minimal risk to their safety and health. With the clock ticking on the semester, and the prospect of having to extend or cancel classes, Terracon worked closely with the administration to prioritize the buildings and rooms most critical to the school’s operation. This involved mobilizing resources from several Terracon offices to evaluate each building, some of which were constructed in 1908 and required extra care to preserve their historic features. three weeks for a single building. Within two-and-a-half weeks, all 40 buildings had been inspected and the impacted areas were made safe. NorthStar, one of Terracon’s approved disaster recovery contractors, was key to this success by working alongside Terracon to abate the hazards while we continued our evaluation and monitored the ambient air for asbestos and mold to ensure its safety. In order to meet the client’s needs, the air monitoring process entailed using two-person teams working 12-hour days, seven days a week, for approximately one-and-a-half months. The team collected up to 30 air and mold samples each day. Terracon’s ability to assemble the resources for this project, virtually overnight, provided the response the client needed, while maintaining a high level of quality consulting and ensuring that the team and building occupants were safe. 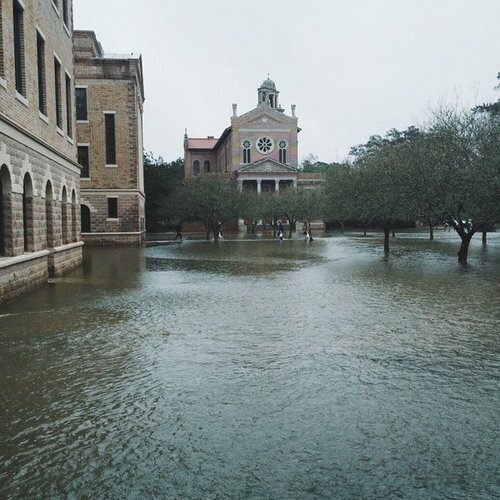 Seminary classes resumed without any classes being cancelled or postponed, while Terracon continues to monitor the air throughout the entire campus. The ability to quickly respond to our client’s needs sets Terracon apart from its competitors. We were there when others failed, with high quality, reliable, and resourceful services. This was a major accomplishment, and the Louisiana Terracon team is proud of our capacity to meet this client’s needs. 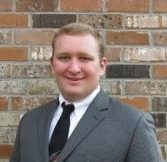 Phillip Bellan is a senior industrial hygienist in the Baton Rouge office and was the project manager for this project. Terracon employees from offices in Baton Rouge and New Orleans contributed to its success. The Birmingham, Ala., and Cedar Rapids, Iowa, offices also contributed equipment which allowed Terracon have a large enough presence to carry out the work successfully. Phillip has extensive experience in industrial hygiene consulting in the commercial, educational, residential, and industrial sectors.